Come see me!! Rock & Shop Market at Hopscotch!!! FREE!!!! 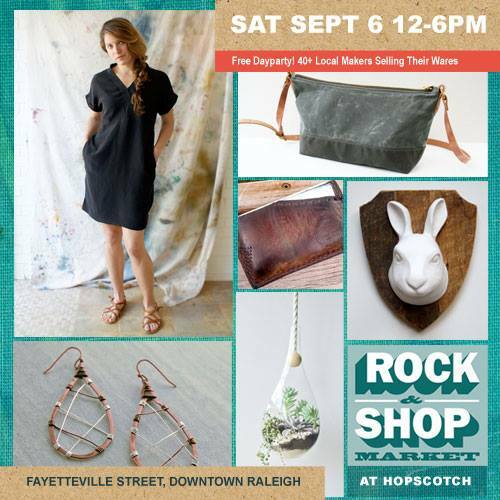 I’m thrilled … I was INVITED to be part of the Rock & Shop Market during the Hopscotch Music Festival in Raleigh!!! This will be on Saturday, September 6, from 12pm-6pm on Fayetteville Street between Davies and Martin Streets. Please come see me!! I’m working on making HEADBANDS…. a very new venture for me… So many of you have told me you want them, so, I’m making a special effort to make this happen! I will also have BOW TIES. Of course, as is everything I make, all of that will be from individually-hand-dyed fabrics I make! Soooo much good stuff going on…. Pop Up Shop at Ornamentea this Sunday! This Sunday, the monthly Pop Up Sunday will be SUPER cool, with some fantastic new vendors who’ve traveled the world, and some wonderful vintage designers, too!! ANNNND…. I will be there, too!! Hospice of Wake County (now known as Transitions Life Care) is the recipient for the fundraiser this month. I will be helping with that by having a dye project you can do for a small donation of $1 – $3 each!! In addition to that, I will have my Leopold Designs scarves for sale there! 20% of all of my scarf sales will go to Transitions Life Care!!! Please read my blog about why Hospice means so much to me (from last year’s Pop Up Sunday). 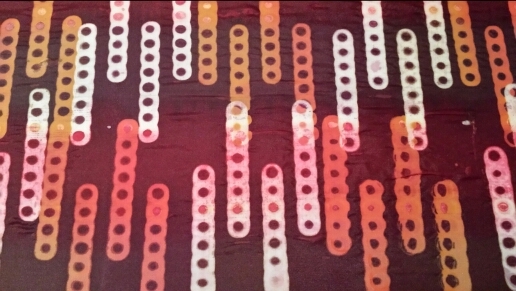 There is still space open to take my Intro to Batik class at Ornamentea!!! We’ve been having a TON of fun in that class, and I would love to see you in there, too! If anyone wants to write up a testimonial, I’d love and appreciate it!! Email me! The Pop Shop at North Hills is open NOW, only until August 31!! The shop has a great location, directly to the left of Total Wine and the Frozen Yogurt shop!! Please come out to support me and 11 other local NC, eco-friendly, ethically-made fashions! Pop Shop at North Hills is open today!! Go shop the Pop Shop at North Hills! Just to the left of Total Wine!! Also, if you’d like to come see me, I’ll be working the shop from 11-3 THIS Wednesday! I’d love to see you! For the rest of August, check the hours & days it is open, at http://redressraleigh.com/pop-shop/. 7 new pieces on Etsy! More after 8 pm EST. Here is a peek at what I’ve posted so far!! Two of my favorites are listed! Go check them out.